This channel highlights the outer atmosphere of the Sun – called the corona – as well as hot flare plasma. 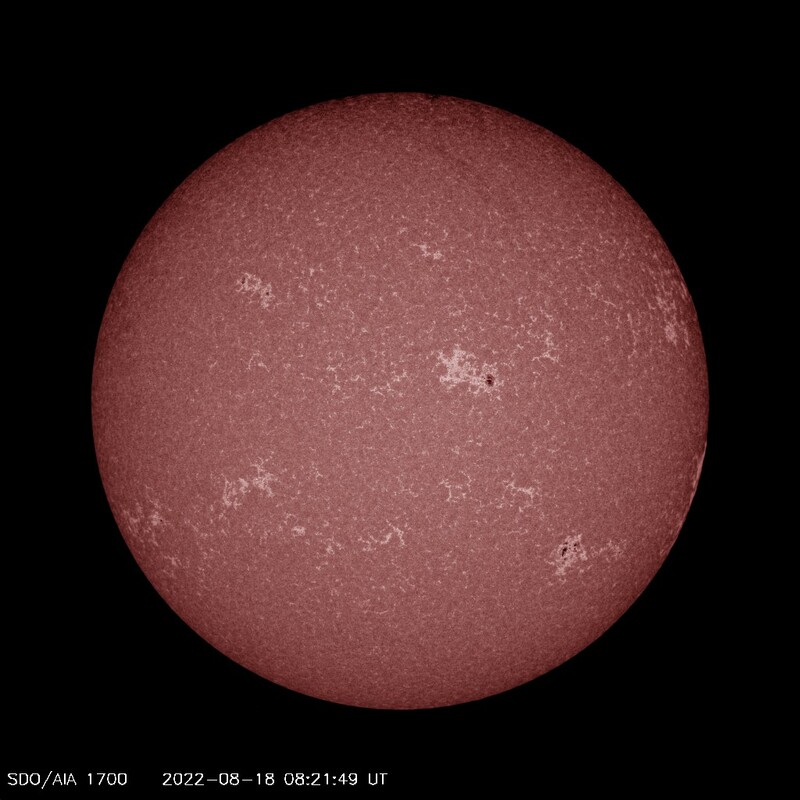 Hot active regions, solar flares, and coronal mass ejections will appear bright here. The dark areas – called coronal holes – are places where very little radiation is emitted, yet are the main source of solar wind particles. This channel often shows a web-like pattern of bright areas that highlight places where bundles of magnetic fields lines are concentrated. The Helioseismic and Magnetic Imager (HMI) is an instrument designed to study oscillations and the magnetic field at the solar surface, or photosphere. 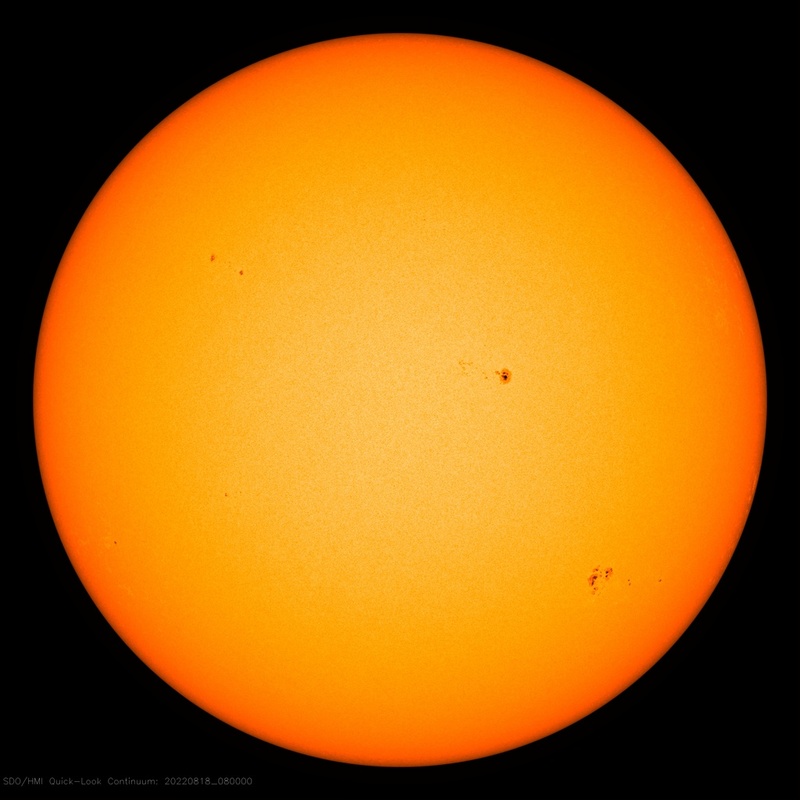 HMI observes the full solar disk at 6173 angstroms with a resolution of 1 arcsecond. This wavelength is great for viewing visible sunspot formations. This image is artificially coloured. 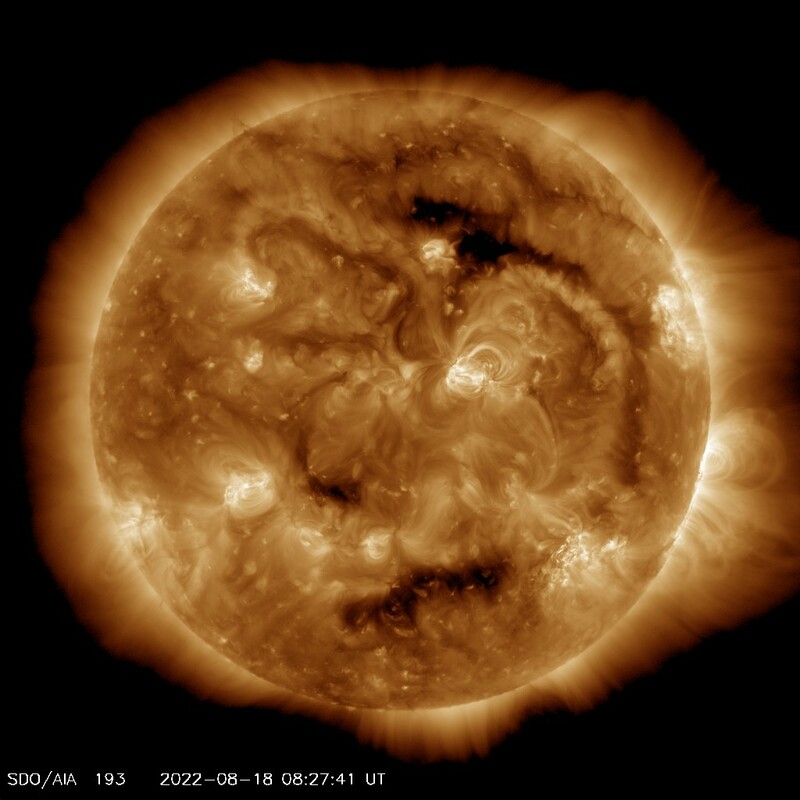 Source images courtesy of NASA/SDO and the AIA, EVE, and HMI science teams.